With its imposing front fascia and rugged design, the Quanto 'perfectly embodies the aggressive stance of an SUV,' Mahindra says. India's Mahindra & Mahindra plans to sell its first small SUV, the Quanto, in Europe. The Quanto will go on sale in Italy shortly after appearing at the Bologna auto show in December. Sales in other European markets will follow, Ruzbeh Irani, Mahindra's head of international operations, told Automotive News Europe. He declined to comment on the Quanto's European pricing, but the vehicle is expected to compete against budget vehicles including the Dacia Duster. 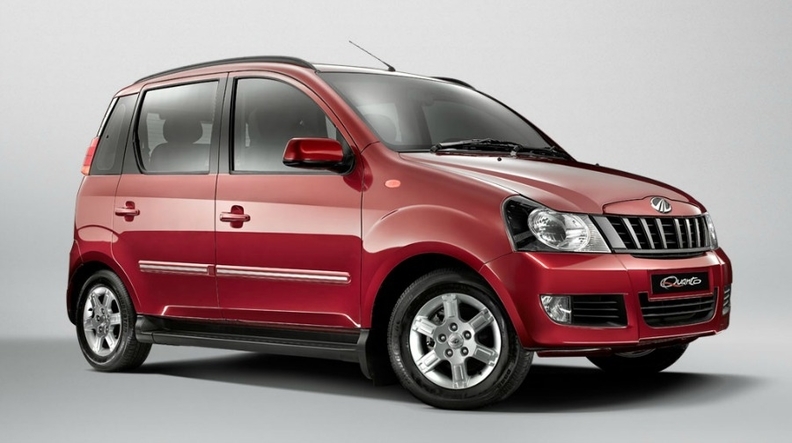 The Quanto's price in India starts at 582,000 rupees ($10,778). The Quanto is based on the same platform as the Ingenio minivan and is just under 4000mm long. It has a 5+2 seating arrangement and comes with one engine option, a 100-hp, 1.5-liter diesel. Mahindra sells the Goa mid-size SUV and Goa pick-up models in Europe. The brand sold just 563 units in Europe last year, according to market researchers JATO Dynamics. The Quanto will be ready for export in three to four months, Pravin Shah, chief executive of Mahindra's automotive division, said at the vehicle's launch in India on Thursday.